"Project success is achieved through professionalism, careful planning, stringent design standards and effective communication due to JPJ Engineering's structured project management systems." JPJ Engineering welcomes your communication. For more information, please message us below for a response, or reach out to the JPJ Engineering team at 218-262-5528. Find out how we can help make your project successful. 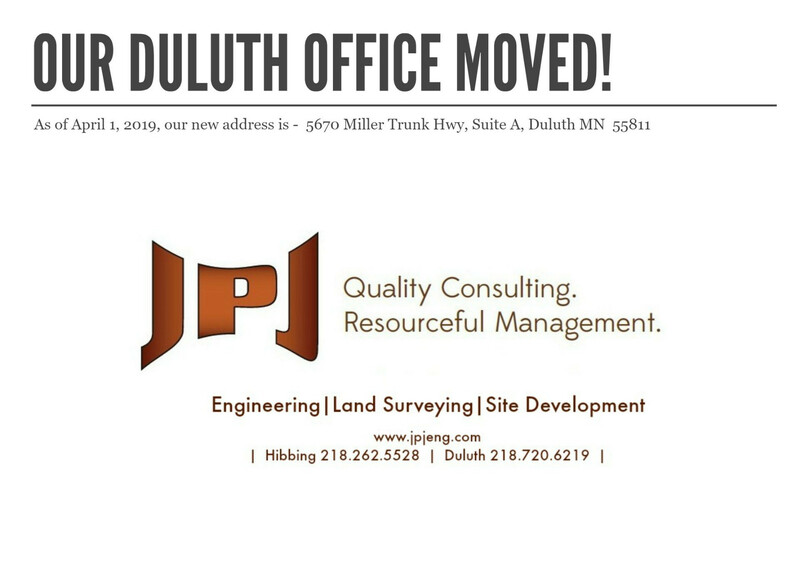 To request a land survey, please click the link below or call: 218-262-5528. To request a survey, please click the link above. The form below will not forward surveys.